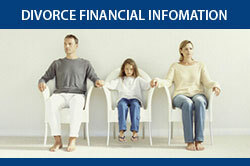 We can help you if you or your spouse are considering terminating your marriage. You need to be aware of the options available to you. We know that this is a difficult time for you and there are processes, such as the Collaborative Family Law Process, that can help you manage the emotional, legal and financial issues that you will face. As your divorce attorney we can also help you with mediation, negotiation and litigation if needed. We can help you with custody issues. More and more unmarried couples are choosing to have children. We can help you navigate the issues that you will face, such as custody, shared parenting, visitation and child support. We can help you with your estate planning. We can prepare Wills and trusts to meet your goals in allocating the assets in your estate. We can help you with an adoption or surrogacy. If you are planning on adopting a child or being a surrogate for someone you need to know your rights and responsibilities as well as the legal process involved. We can help you with premarital agreements. If you are getting married or re-married, you may be interested in protecting your assets. A premarital agreement can do that if done correctly and we can assist you. Please call us at 614-538-2901 to schedule your consultation. We offer extended office hours from 7 a.m. to 6 p.m., Monday through Friday. Our attorneys Elaine S. Buck and Jeffrey D. Fish strive to obtain the best possible outcome for clients in the areas of child custody or shared parenting, child support, spousal support, property division, adoption, and surrogacy. We also welcome non-married, traditional or non- traditional parents and couples who share many of these same issues. Please feel free to explore our practice areas for more information about the services we offer. Our attorneys practice primarily in Columbus, Upper Arlington, Dublin, Worthington, Grandview, Hilliard, Bexley, New Albany, Westerville, Gahanna, Pickerington - in Franklin County and surrounding counties including Union, Madison, Delaware, Licking, Fairfield and Pickaway. With respect to our Collaborative Law and adoption work we work throughout the state of Ohio. Elaine S. Buck and Jeffrey D. Fish are certified specialists in Family Relations Law and have over 48 years of combined experience in Columbus, Ohio. Both attorneys are also rated as Super Lawyers. Our family lawyers are uniquely qualified to provide individuals with their comprehensive expertise in family law including collaborative family law and mediation; legal separation, dissolution or divorce; child custody/visitation; adoption and surrogacy.